Hall Dunnetdale Cottage is a modern detached property with a contemporary feel located within the village of Seathwaite, near the town of Broughton-in-Furness. Hosting three bedrooms one double and two single, as well as a family bathroom, this property can sleep up to four people. Inside you will also find an open plan kitchen, dining and sitting area with a wood burning stove. 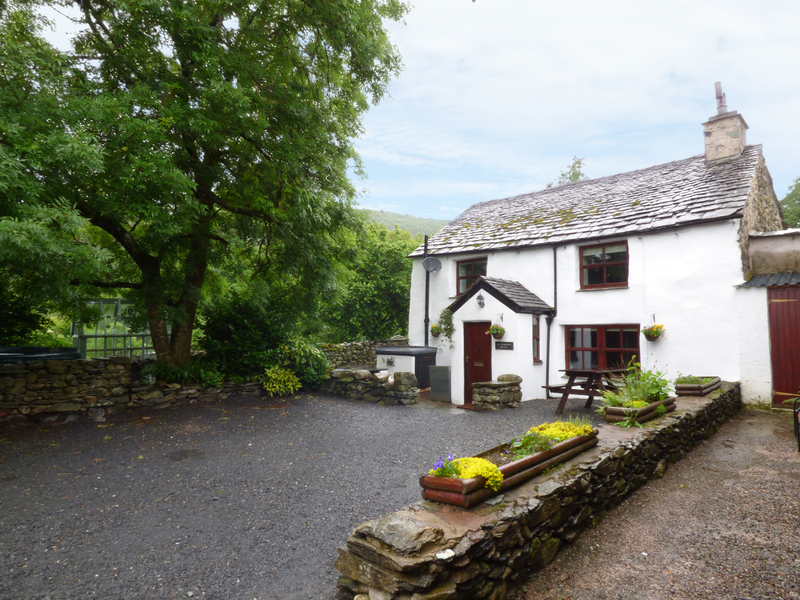 To the outside, is off-road and roadside parking, surrounded by a lovely garden to the front with a patio. 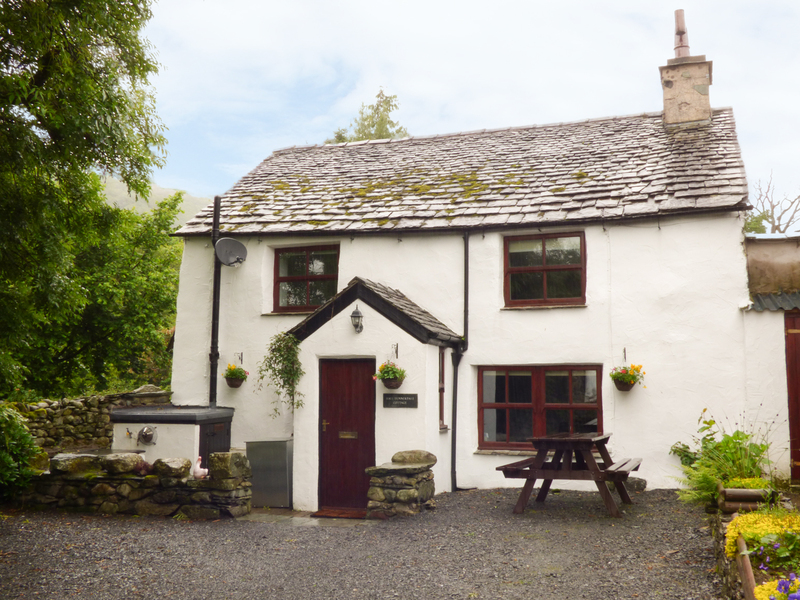 Situated in an attractive location, Hall Dunnerdale Cottage is a heart-warming property in a vibrant part of England. Three bedrooms: 1 x double, 2 x single. Bathroom with bath, shower, basin and WC. Open plan living area with kitchen, dining area and sitting area with woodburning stove. Oil central heating with woodburning stove. Electric oven and hob, microwave, fridge/freezer, washing machine, TV with Freeview, DVD. Fuel, power and starter pack for stove inc. in rent. Bed linen and towels inc. in rent. Cot and highchair available on request. Roadside and off-road parking for 2 cars. Lockable bike storage. Garden to the front with patio. Two well-behaved pets welcome. Sorry, no smoking. Shop and pub 1 mile. Note: River 50 yards away. Note: Steep stairs.